The first game to get an R18+ rating has been revealed; it'll be Ninja Gaiden 3: Razor's Edge for its "High Impact Bloody Violence". 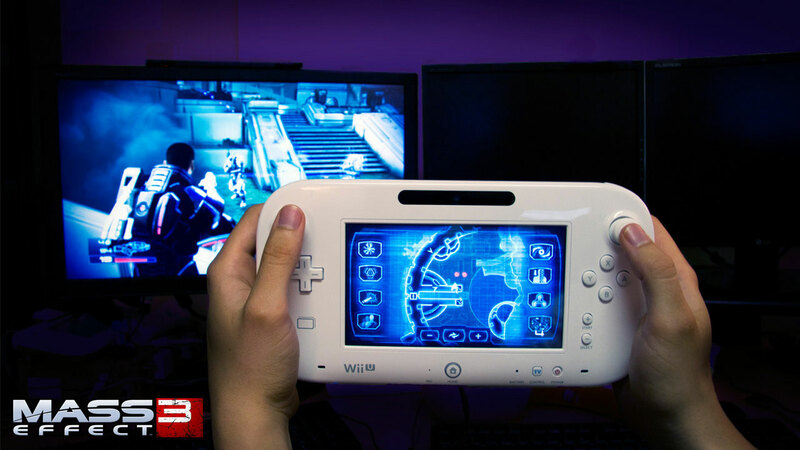 As Nintendo's first high definition console, Wii U will join the never-ending, nothing-really-proven debate between the PS3 and the Xbox 360 over which console's visuals for whatever multiplatform game are superior. 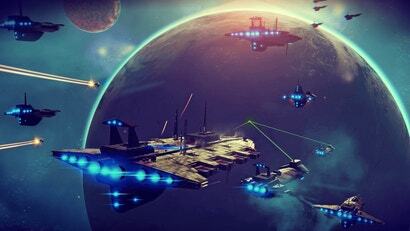 Some people are convinced it's a bad port, while other feel it's due to inferior hardware. The folks behind poorly received action game Ninja Gaiden 3 tried too hard to make it appeal to Western tastes, says Yosuke Hayashi, head of developer Team Ninja, the studio behind the game. You might be wondering what Tecmo Koei's got up its corporate sleeves after Ninja Gaiden 3 chopped its way release earlier this year. Well, it's a good thing that E3's right around the corner so that we can find out. 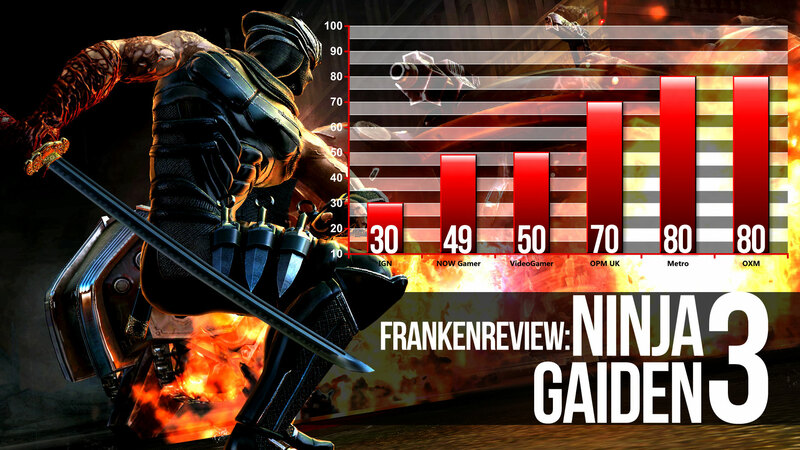 Our Ninja Gaiden 3 review has been updated to include a brief overview of the current multiplayer experience. I sat down with my katana and PS3 controller recently to play Ninja Gaiden 3. In addition to pausing the game every so often to act out my favourite moves, I put together this video showcasing what Ninja Gaiden 3 has to offer. You'll see blood being flung off of a sword, an unsettling cutscene, and evidence of Ryu Hayabusa's love for birds of prey. Details about Ninja Gaiden 3's Collector's Edition came through a whole back but Tecmo's finally seen fit to show everyone what it looks like. 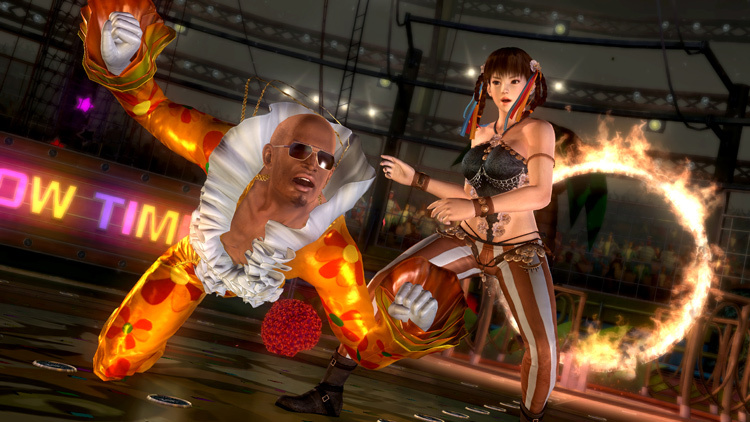 As mentioned before, you'll get a two-figure Duel of the Masked set and a downloadable demo from Dead or Alive 5, the upcoming entry in Tecmo's fighting game series. There's a soundtrack CD and art book in there, too. Ultra-violent. Obsessed with gore. Singleplayer. 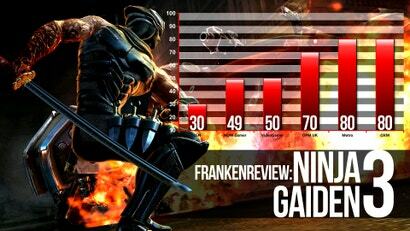 These are the words that we've associated with Team Ninja's modern Ninja Gaiden games. But the upcoming three-quel will change all of that. Ever since Team Ninja's been in charge of the modern-day Ninja Gaiden franchise, no character kills bad guys quite the way that Ryu Hayabusa does. Tecmo's been teasing out the specifics of his next outing for a bit and finally passed along word of when we'll be able to play as the viciously gifted shadow warrior. Look, if you don't want to be on the receiving end of Ryu Hayabusa's Dragon Sword, don't join an anti-ninja mercenary force, "mate". That said, it looks like even the star of Ninja Gaiden 3 is dealing with the psychological impact of spilling so much blood from katana-fodder of past Ninja Gaiden games. 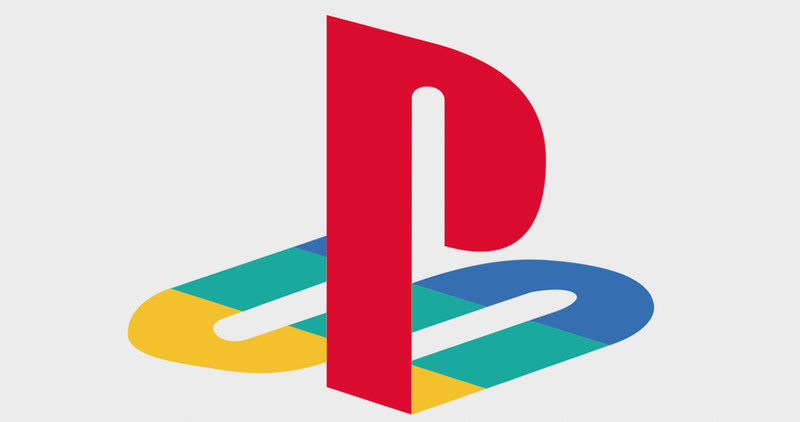 If you wanted to fast track your way to an RC rating in Australia, usually gratuitous amounts of video game dismemberment was the most efficient way to go. 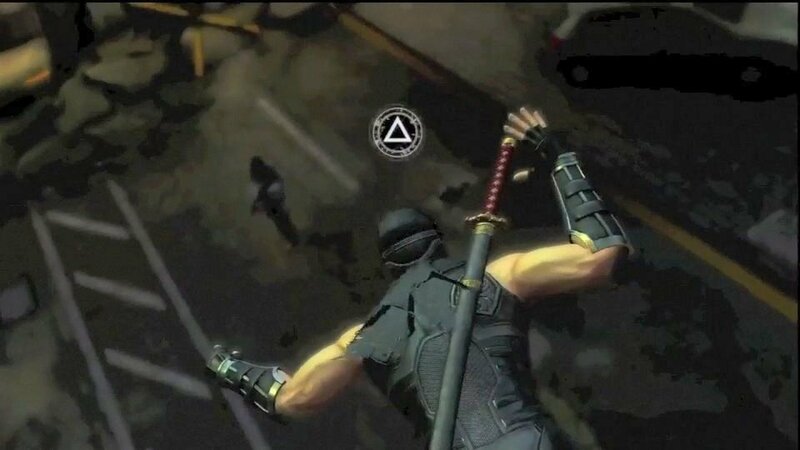 Now that we're on the cusp of receiving an R18+ rating in Australia, Team Ninja has claimed that the latest entry into the Ninja Gaiden series - previously a repeat offender when it comes to unnecessary gore - will no longer feature any dismemberment of any kind. 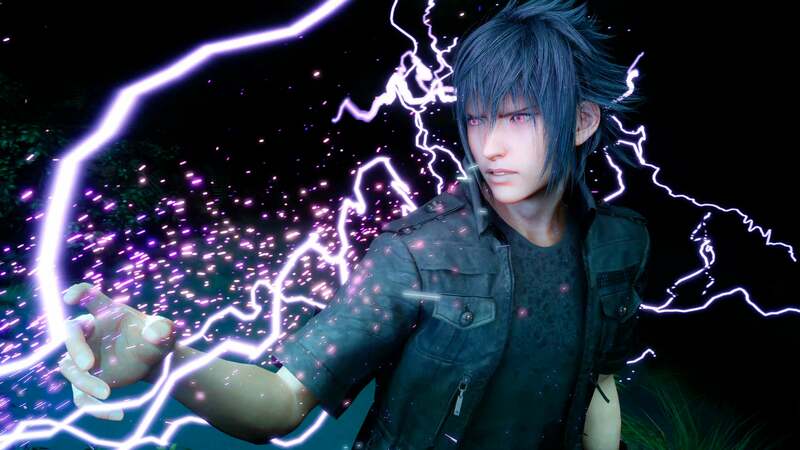 Today at Gamescom in Germany, Tecmo's Team Ninja revealed that Ninja Gaiden 3 was getting physical with the PlayStation Move, finally allowing the player and Ryu to commiserate over how difficult it is to slash at enemies for hours on end. I've never killed a man. 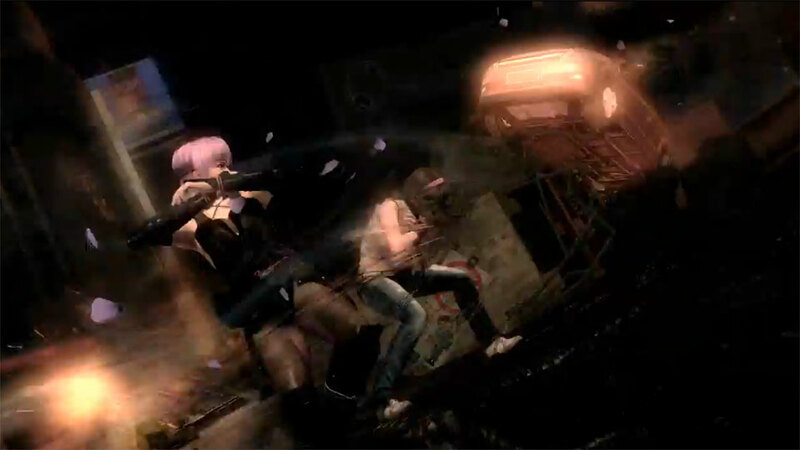 Team Ninja leader Yosuke Hayashi says he's never killed anyone either. But he is confident that his next game, Ninja Gaiden 3, properly explores what it means to stick a Japanese sword into another man's body and extinguish his life force. 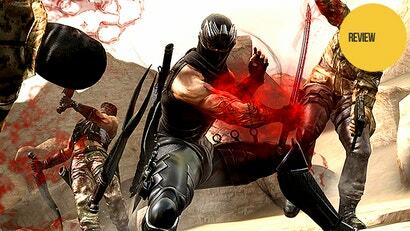 Team Ninja is bringing super ninja Ryu Hayabusa to Nintendo's new console, Wii U, with Ninja Gaiden 3: Razor's Edge. 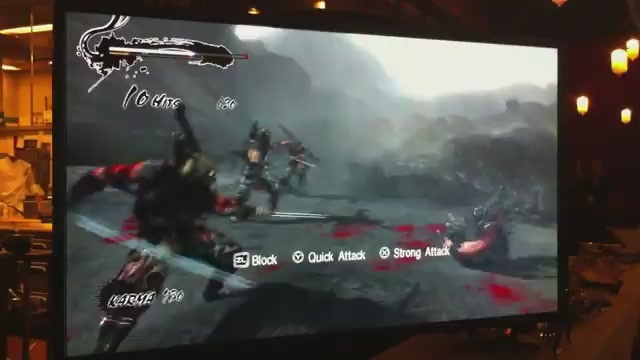 Its the more unique version of Ninja Gaiden 3, thanks to the addition of (optional) touchscreen controls. While Xbox 360 and PlayStation 3 owners can still look forward to Ninja Gaiden 3, Tecmo Koei announced today a special version of the game being developed for Nintendo's Wii U, tentatively titled Ninja Gaiden 3: Razor's Edge.